I was excited to try Tenren's bubble tea solely because I've seen them see loose leaf teas. I ordered Oolong milk tea with tapioca. The tea was great but the tapioca was underwhelming because it was too squishy. Refreshing teas, my favourite being mango bubble tea. Friendly staff, go out of their way to please! 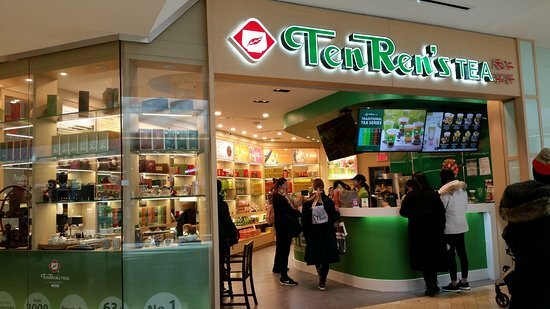 Get quick answers from TenRen's Tea Square One staff and past visitors.